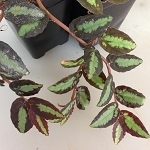 Peperomia perciliata (rooted cutting in 2" mesh basket). 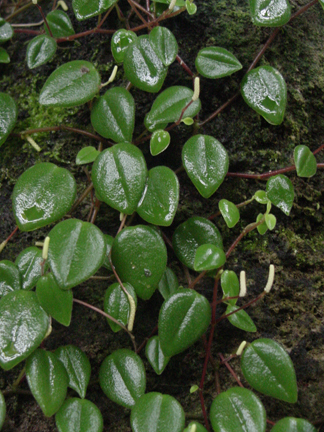 These cuttings are easy to establish in a humid terrarium. They do very well in dart frog habitats...even extremely well on drip walls! Native to Ecuador.